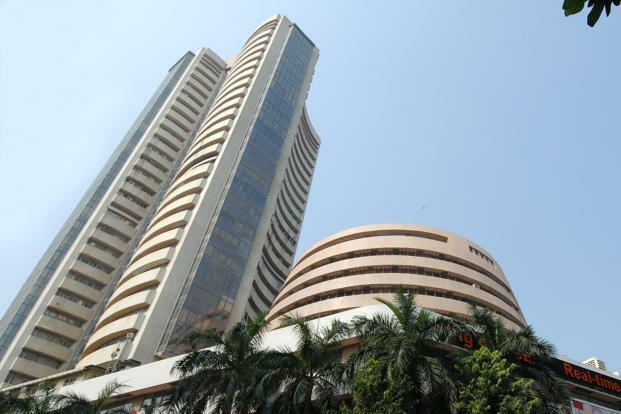 The benchmark BSE Sensex dipped below the 32,000-mark by plunging over 158 points in early trade today due to sustained selling pressure from investors amid weak global cues. Falling for the third straight session, the 30-share index dropped by 158.30 points, or 0.49 per cent, to 31,855.89 with sectoral indices, led by realty, healthcare, capital goods, FMCG and bank, were trading in the negative terrain with losses up to 2 per cent. The gauge had lost 311.22 points in the previous two sessions. The 50-share NSE Nifty also dropped by 44.95 points, or 0.45 per cent, to 9,933.60 in early trade today. Brokers said continued selling by participants on muted earnings by some corporates and a weak trend in other Asian markets following weak Wall Street numbers on worries over tensions between the US and North Korea dampened sentiment. Major losers were Sun Pharma, ICICI Bank, Dr Reddy's, Axis Bank, ITC Ltd, Hindustan Unilever, Cipla, HDFC Bank, Bharti Airtel, Lupin and L&T, falling up to 2.73 per cent. In Asian markets, Japan's Nikkei fell 1.28 per cent, while Hong Kong's Hang Seng shed 0.66 per cent in early trade today. Shanghai Composite Index too was down 0.21 per cent. The US Dow Jones Industrial Average closed 0.15 per cent lower in yesterday's trade. In the meanwhile, the rupee weakened by 16 paise to 63.79 against the US dollar in early trade today as the greenback firmed up overseas amid a lower opening in the domestic equity market.